It was a quiet week for markets. Economic data released throughout the week was mixed and mild enough to keep major domestic benchmarks largely unchanged. Outside of the U.S., equities fared better. The MSCI World Index that excludes the U.S. rose 1% for the week. Year-to-date, this benchmark has doubled the 2.5% return of the S&P 500, even in dollar terms. Janet Yellen provided a boost to markets last week when she testified before the Senate Banking Committee. The Fed Chair set the stage for removing the word “patient” from policy meeting statements during the FOMC’s March meeting. Fed watchers had viewed this move as a signal that rate hikes would soon follow, but she emphasized the fact that the central bank will maintain flexibility when it comes to timing on raising rates. Interestingly, she highlighted that the Committee anticipates raising rates when it becomes clear that inflation will move back over the 2% objective, and that they currently believe this measure is “well below” this benchmark and there is still room for sustainable improvements in the labor market. 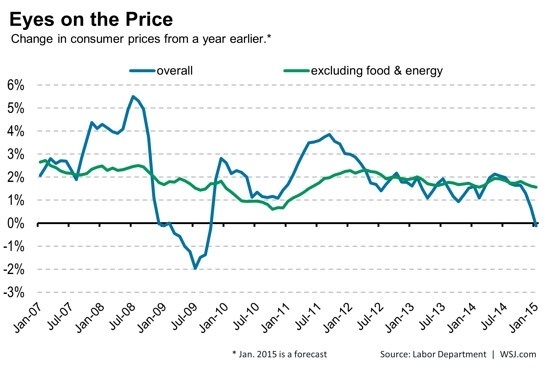 All of this signals that rate hikes could come later than expected. If the German Finance Agency has a theme song for 2015 it’s likely to be “Money for Nothing” by Dire Straits. On Wednesday, Germany issued $3.7 billion of 5-year bonds at an average negative yield (0.08%) for the first time ever. This caps off nearly $36 billion of debt issued at 13 auctions so far this year. The average yield for this debt is 0.006%. The negative yield means investors are in essence paying the German government to hold their cash. While this sounds ridiculous, paying 0.08% is a better deal than paying 0.2%, which is what many banks within the European Union are currently charging for large deposits. Some investors are also speculating that yields could venture further into negative territory once the ECB begins its quantitative easing program next month, thus creating to the opportunity to sell the bonds that are already trading above par at even higher prices. Everybody knows what to do when life gives you lemons, but what do you do when it bombards you with snow? In just three weeks between the end of January and the middle of February more than seven feet of snow dropped on Boston, and giant frozen hills have formed where city ploughs have piled it up. One such hill blocked a popular bike path until a local rider posted a pic on his Facebook page asking for a public works phone number to call requesting a byway be made for cyclist. No one knew the number, but several suggested doing it himself. 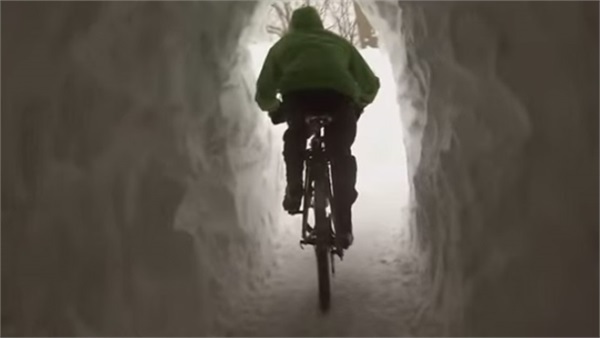 The following day, a group of friends dug a 40-foot long tunnel through the mountain of snow opening the path to a local subway station. Two days later the city finally showed up, but it was to demolish the tunnel. * The MSCI World Index captures large and mid-cap representation across 23 Developed Markets (DM) countries*. With 1,634 constituents, the index covers approximately 85% of the free float-adjusted market capitalization in each country.